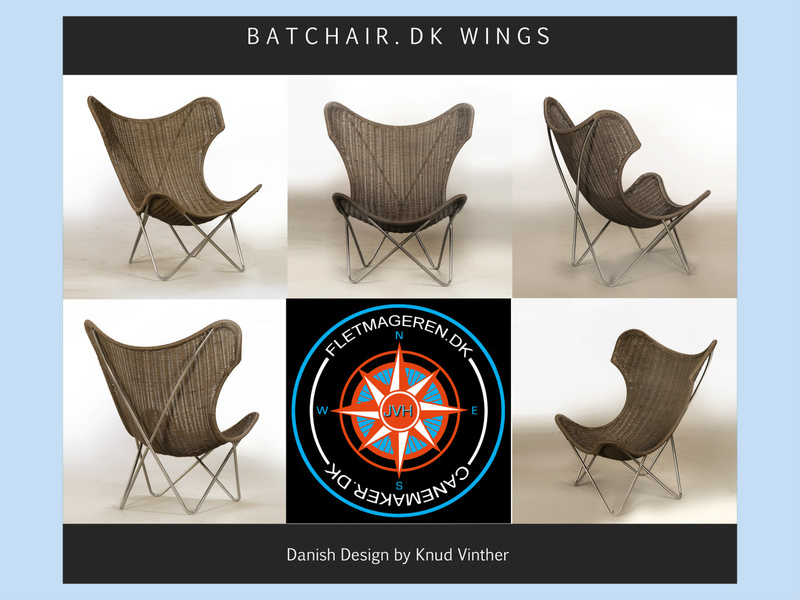 D A Y L I N E R . D K is designed by Knud Vinther and published on September 20th 2016 at 02:30 p.m.
Batchair.dk Wings Natural rattan in Nougat colour on a frame of Stainless steel. 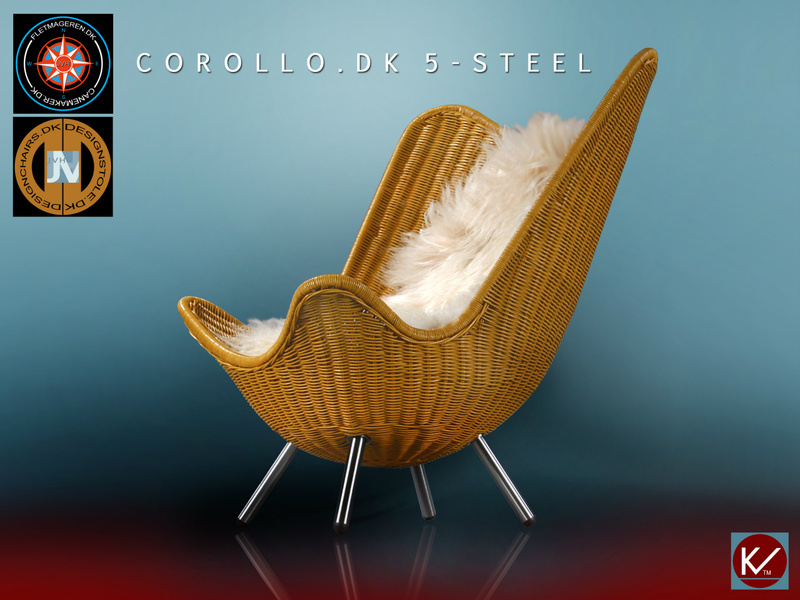 Corollo.dk 5 - Curry colour - steel-legs. 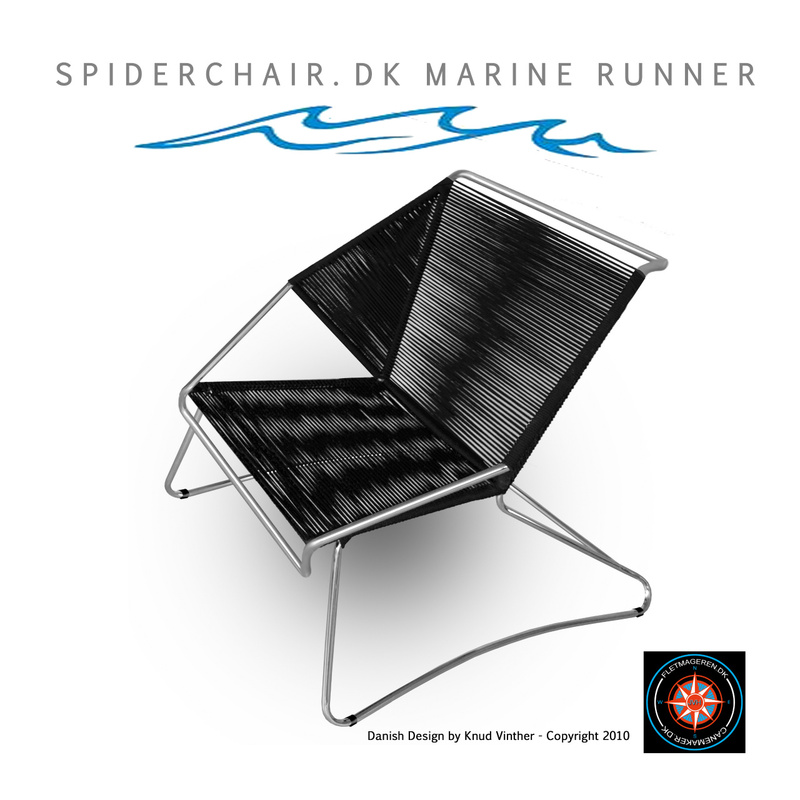 Published in 2010. 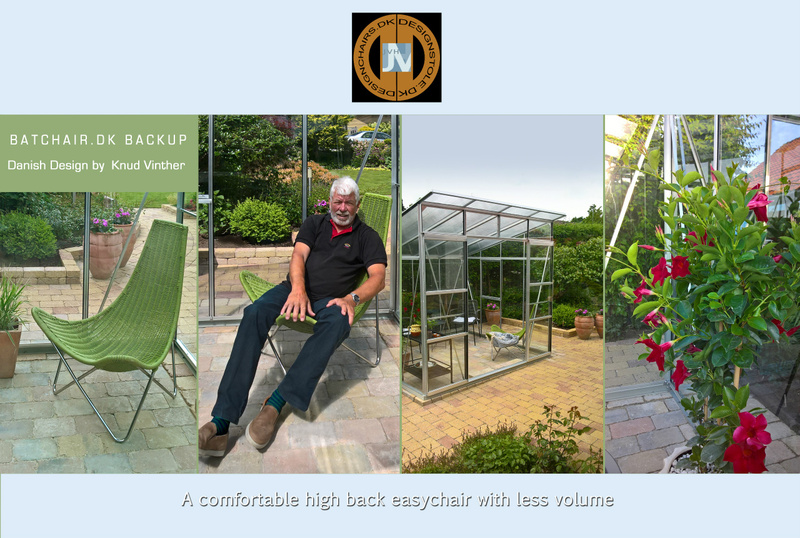 Republished here on 11th of May 2018. 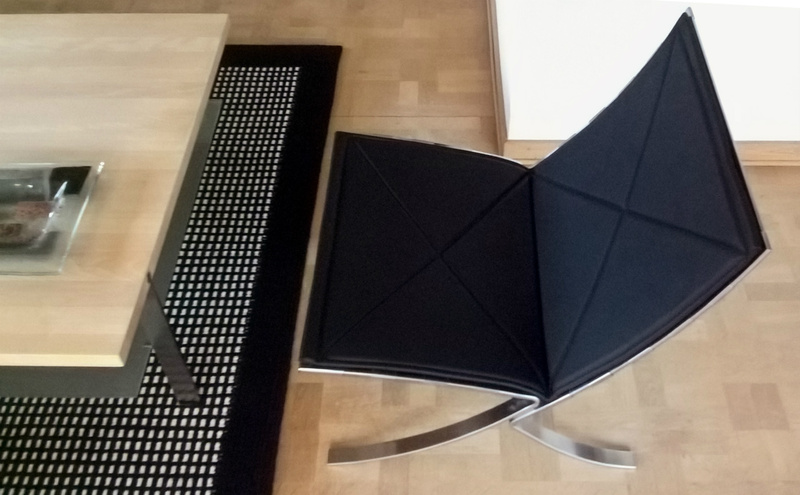 Black leather on Antracite Rattan and stainless Steel. 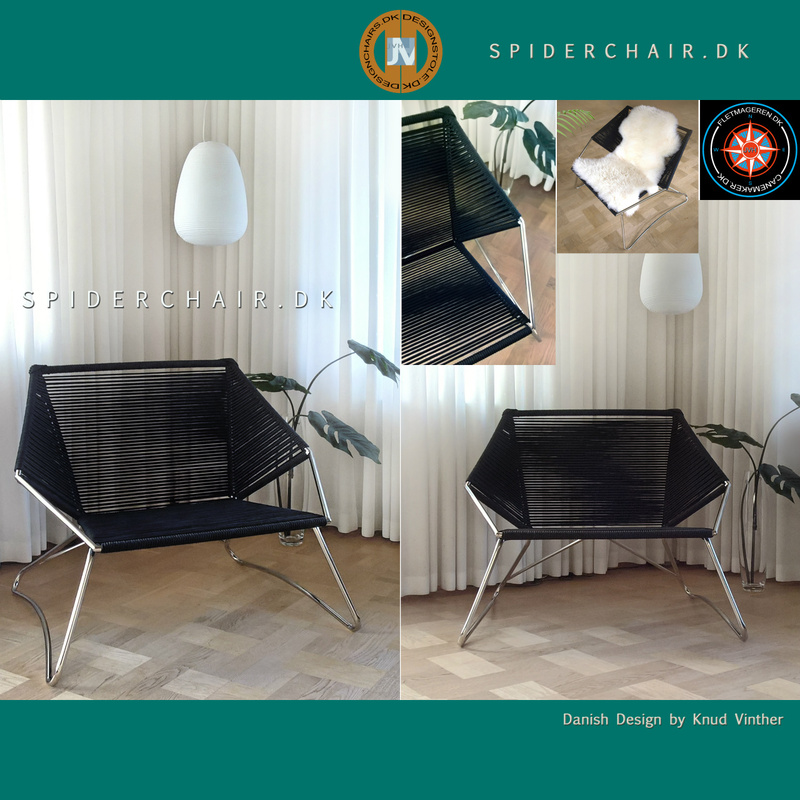 Spiderchair.dk Runner. 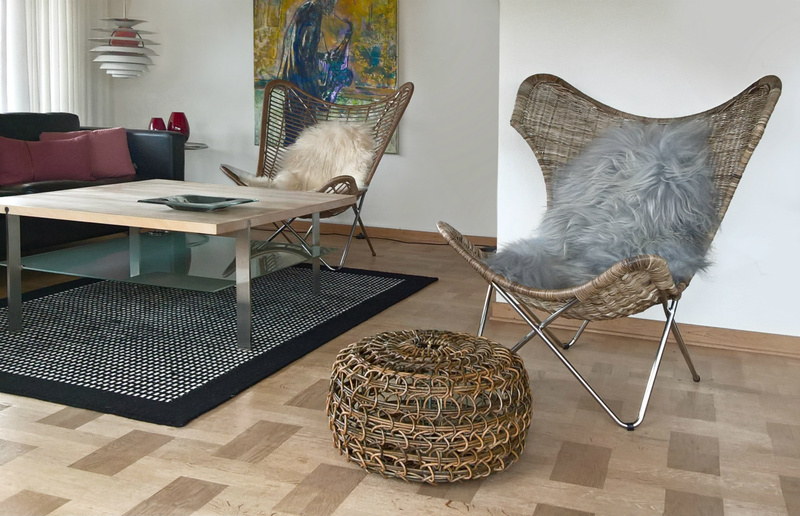 6 mm woven PP braided cord on a frame of stainless steel. 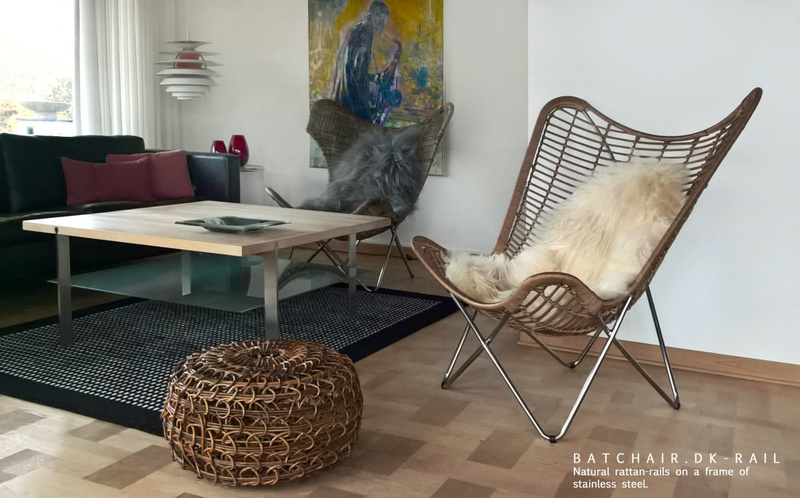 B A T C H A I R . D K W I N G S on location in a living room and in the garden. 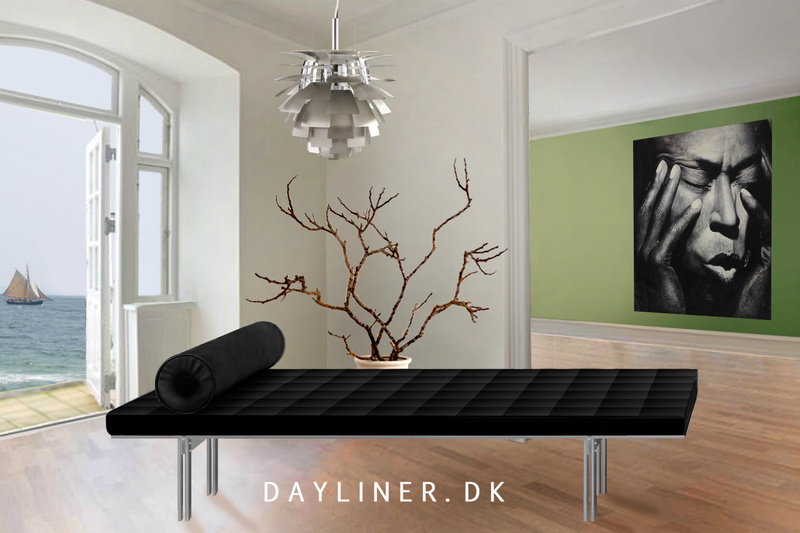 Corollo.dk 3 in Curry colour with a hide and in Midnight Blue with a black sation cushion. 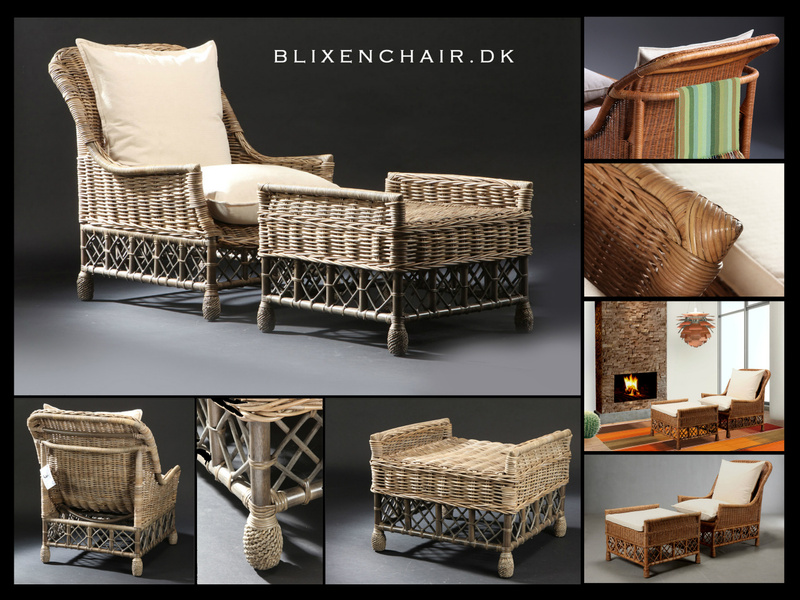 Corollo.3 DK is made of double sided natural rattan on a frame of steel with solid anchors for the skew teak-legs. 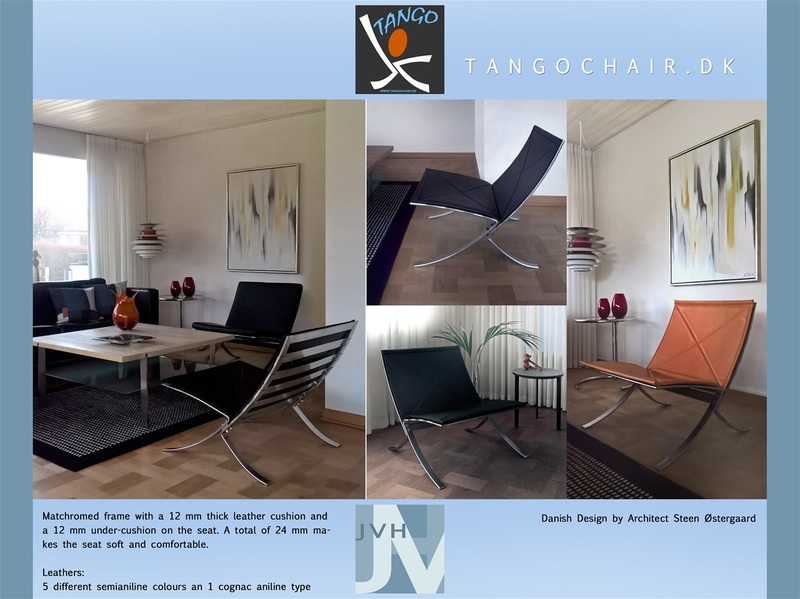 Several colours are available. 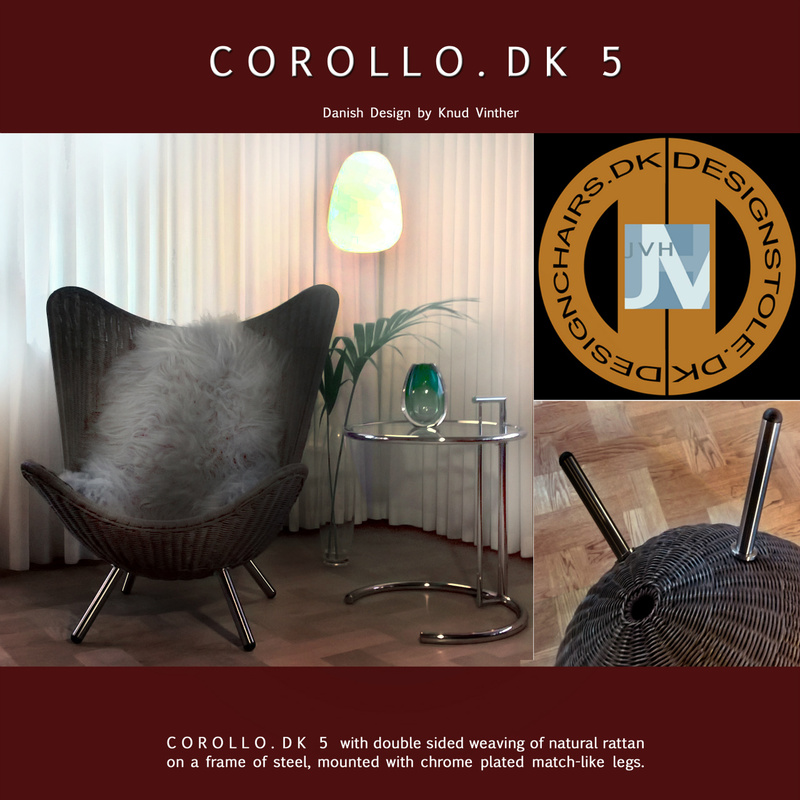 See www.corollo.dk for more information. 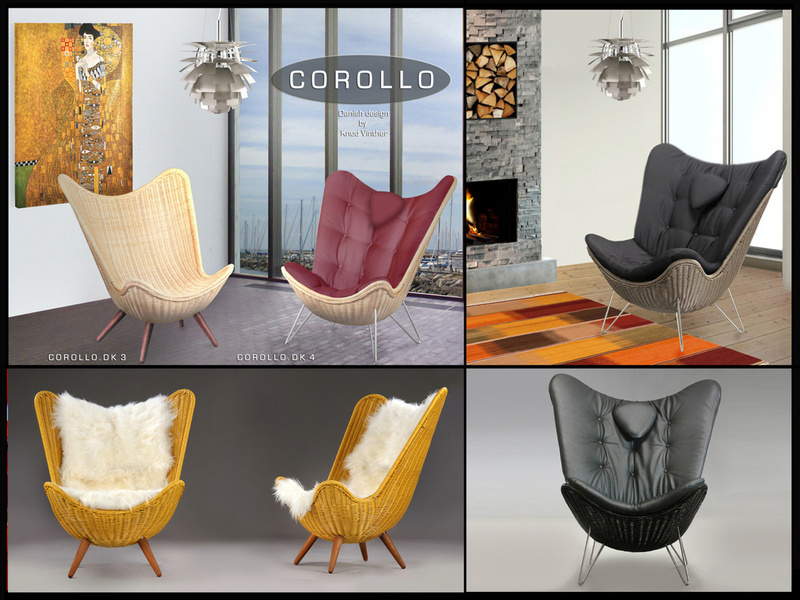 C O R O L L O . 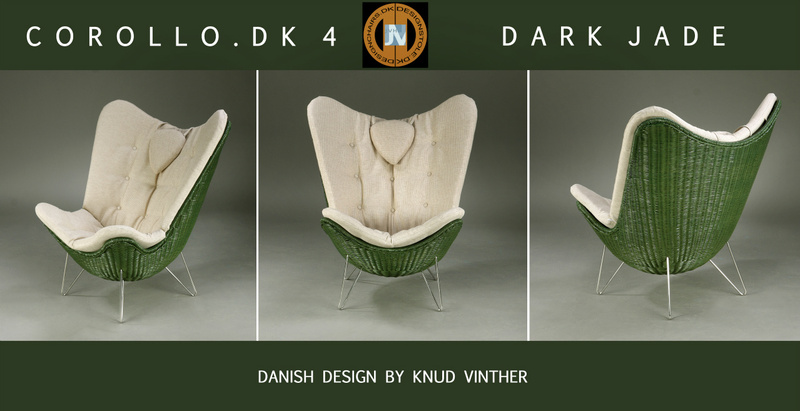 D K 4 with Dark Jade coloured natural rattan on a frame of steel with feet of solid stainless steel. 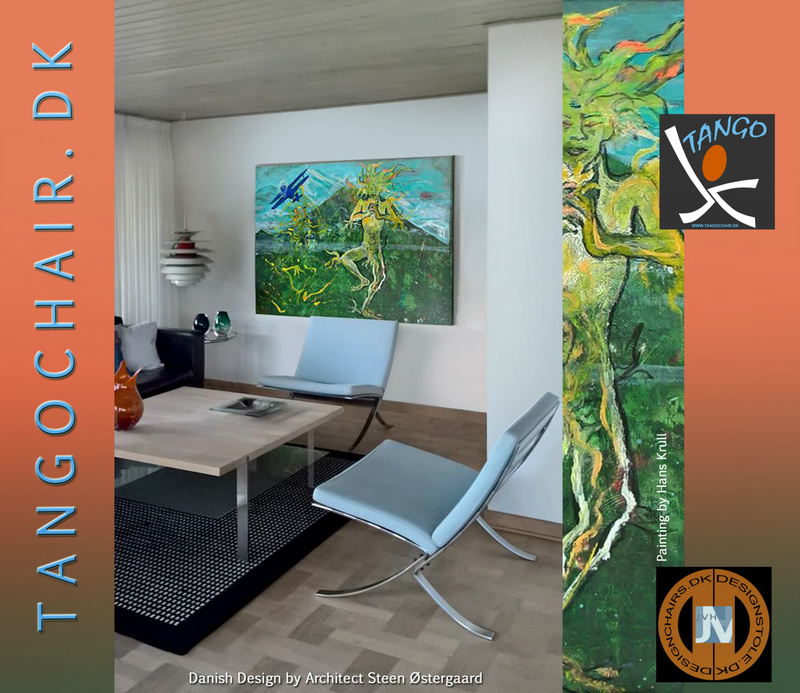 Tangochair.dk - 2 types of chairs: Matchromed frame with 4 mm natural leather and leather webbings. 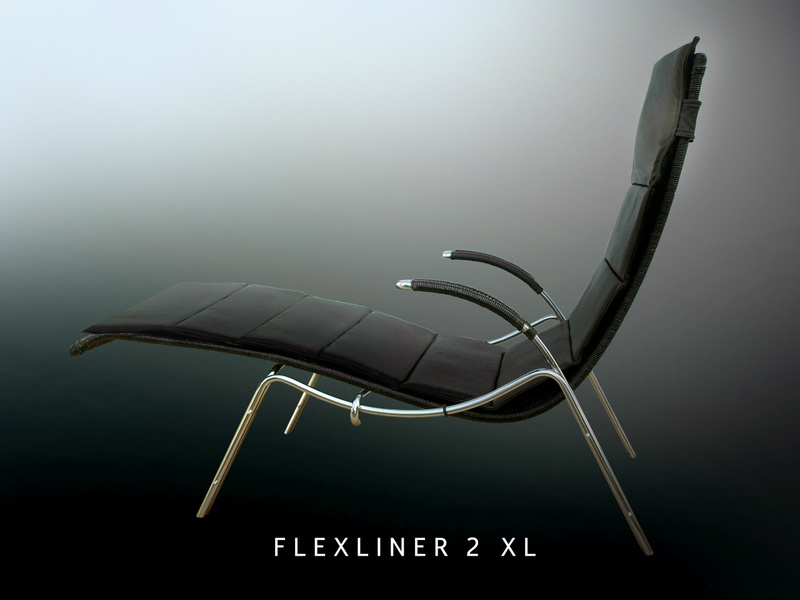 Another model with stainless steel webbings and a 14 mm thick leather cushion.These models shall be available during 2017. 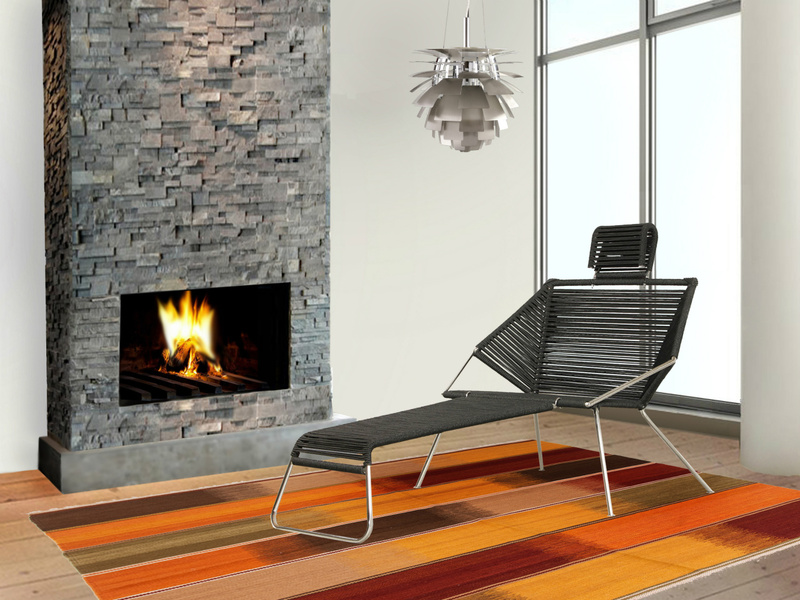 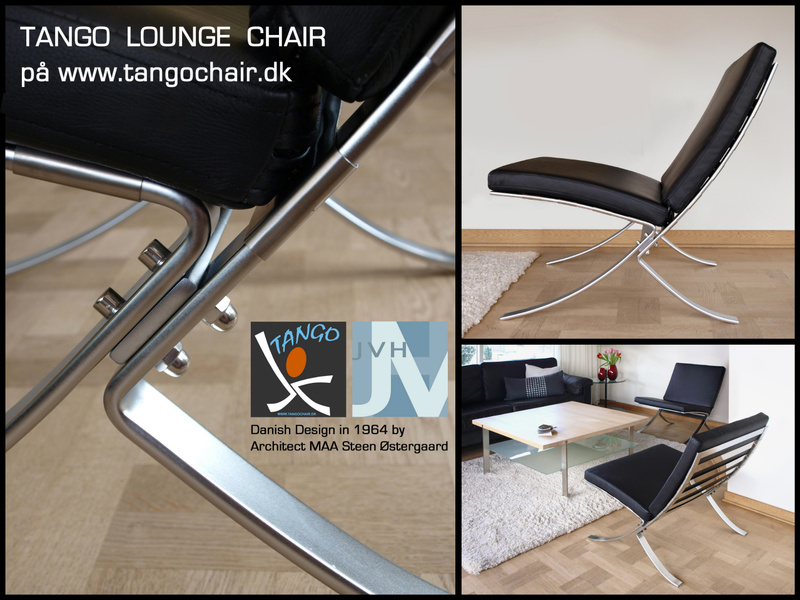 Tangochair.dk - the new type with a 10 mm thick leather cushion in top of the frame with stainless steel webbings. 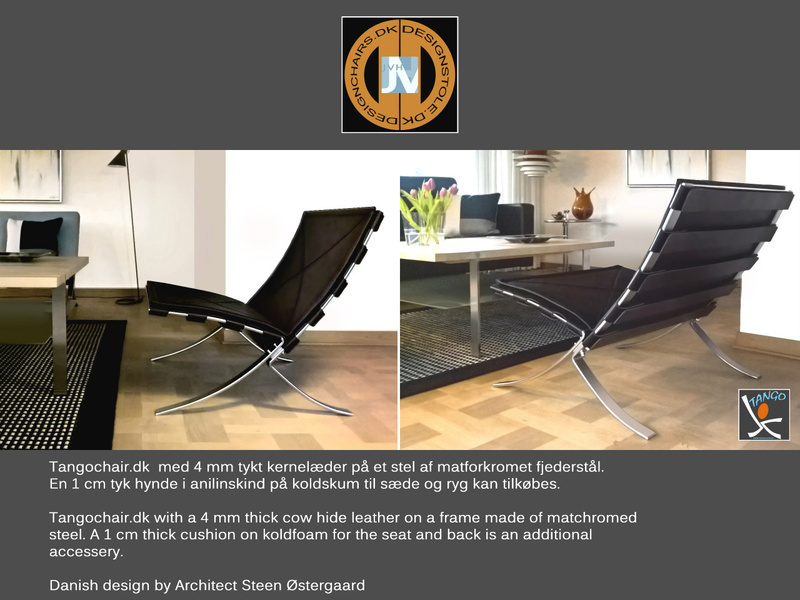 Tangochair.dk with 4 mm cow hide leather on a frame of matchromed steel. 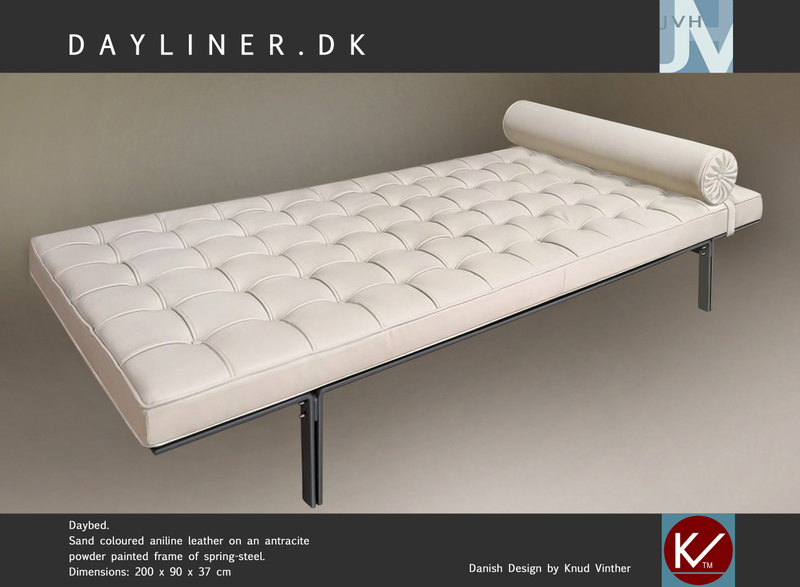 An additional 1 cm thick cushion, made of aniline leather on coldfoam, is available. 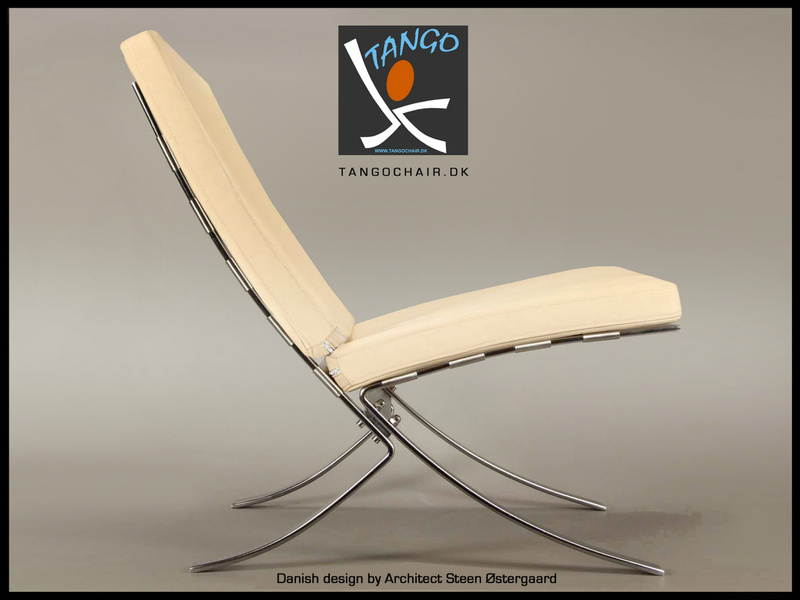 Tangochair.dk med 4 mm kernelæder på et stel af matforkromet fjederstål. 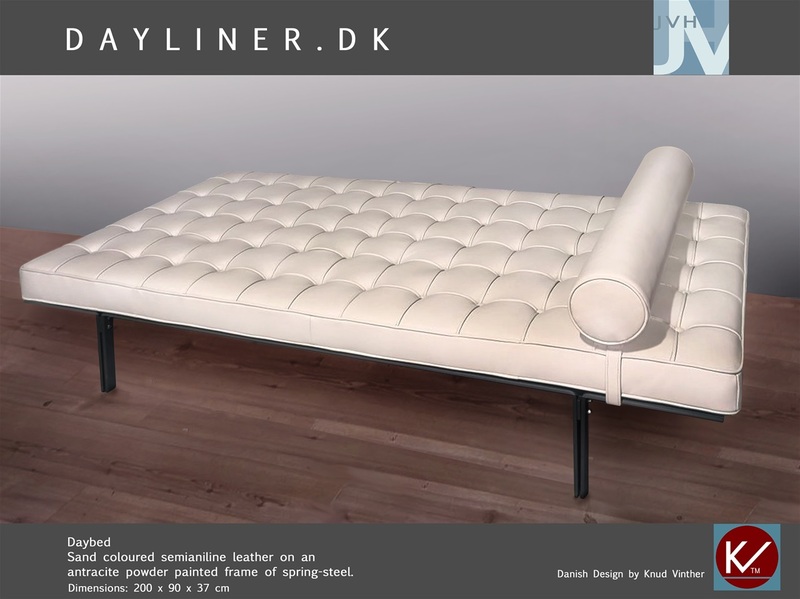 En 1 cm tyk hynde af koldtskum, betrukket med anilinskind, kan tilkøbes. 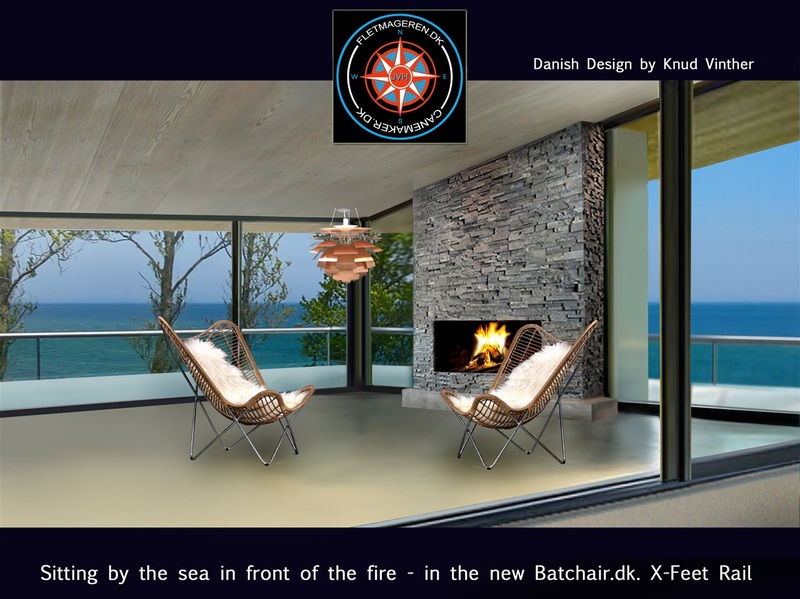 Watch the architect Steen Oestergaard´s own website www.ostergaard-design.com. 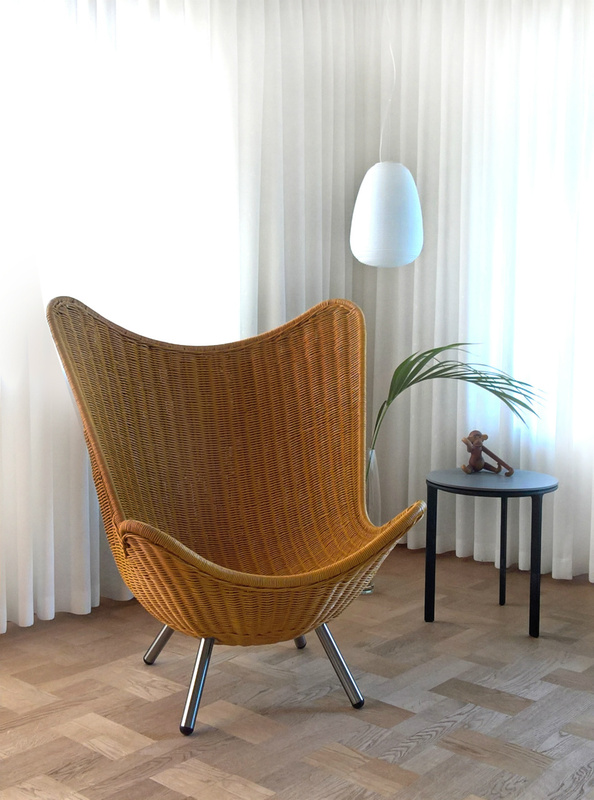 Tangochair.dk made of matchromed spring steel with a sand coloured semianiline leather cushion. 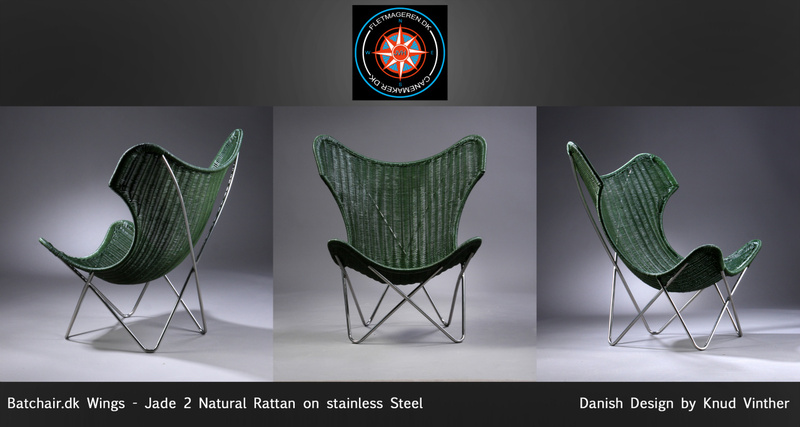 Natural rattan on a frame of stainless steel. 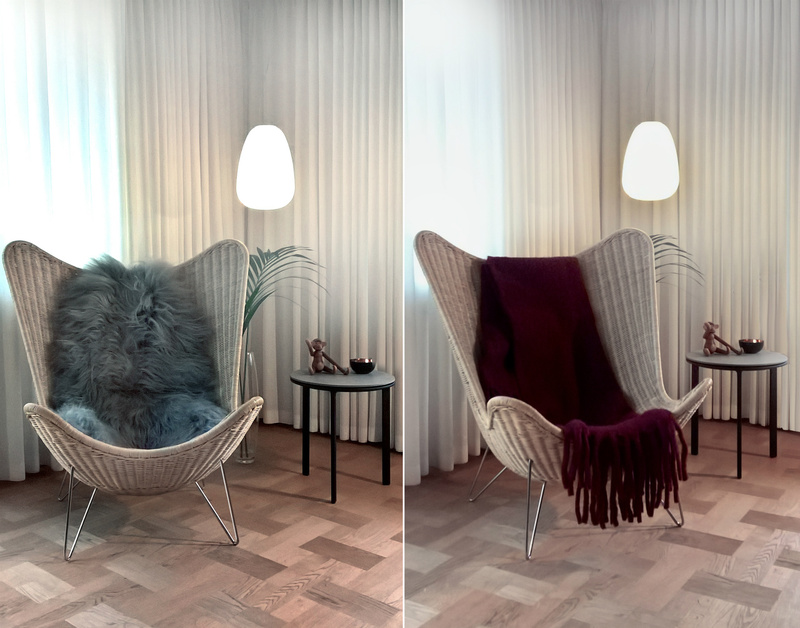 Colour Burgundy. 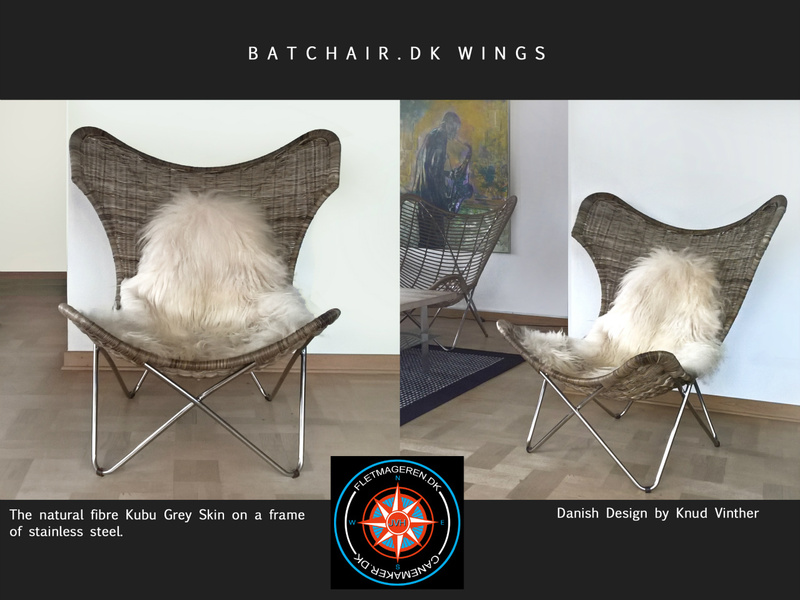 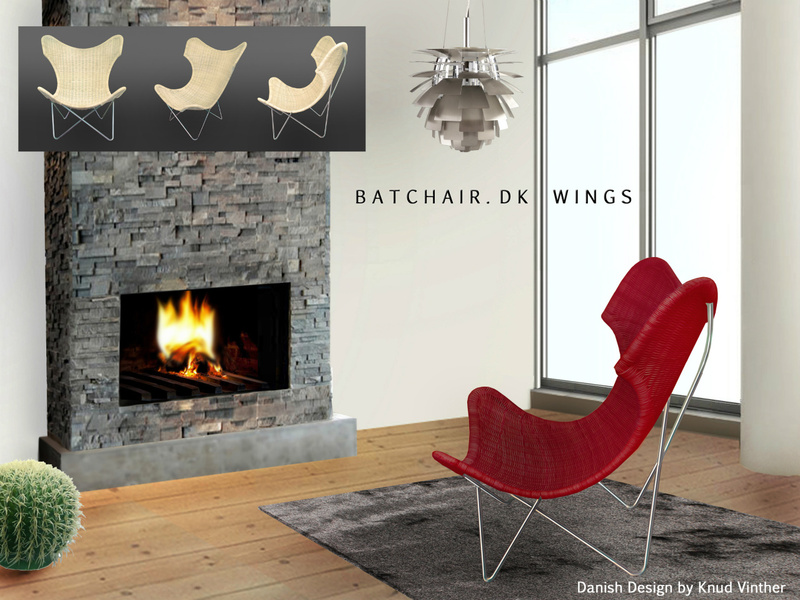 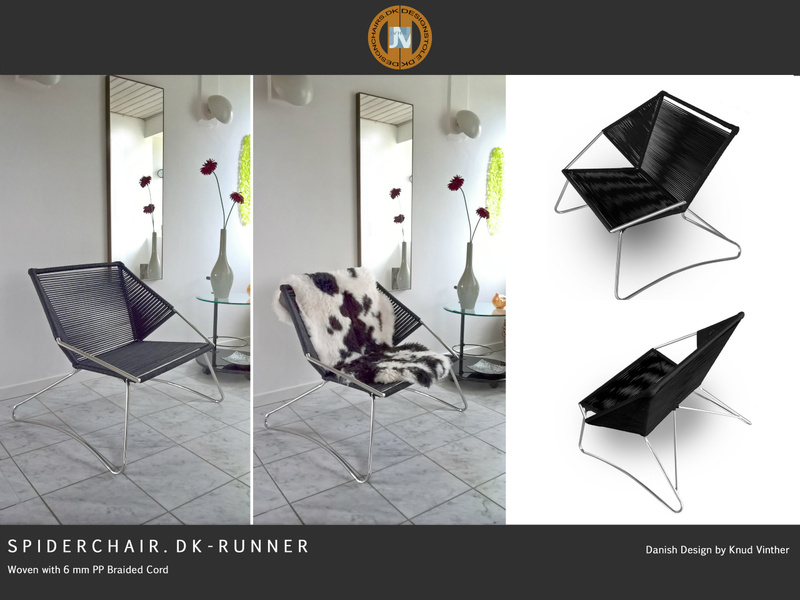 Right: Batchair.dk Wings in Kubu Grey Skin on a frame of stainless steel. 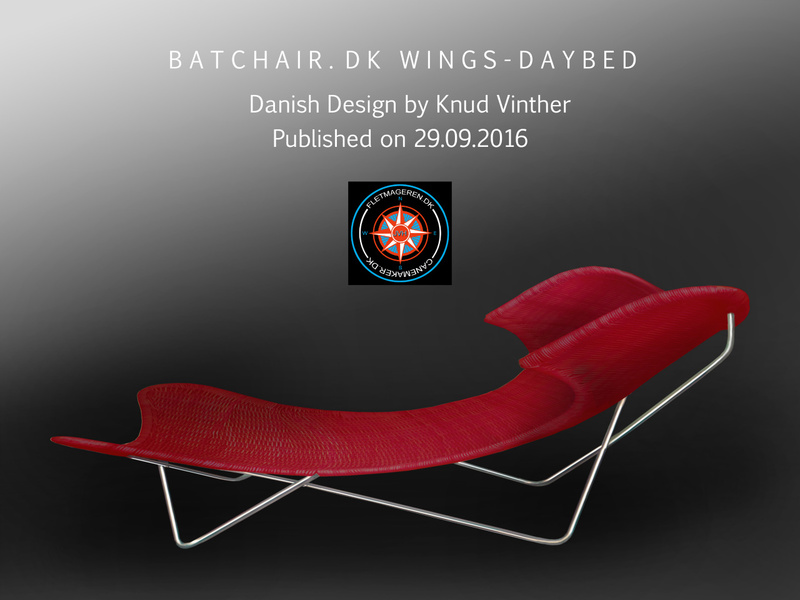 B A T C H A I R. D K W I N G S - DAYBED is designed by Knud Vinther and published here on September 29th 2016 at 05:30 p.m.
S P I D E R C H A I R . D K - R E L A X with 6 mm white or black PP braided cord on a frame of stainless steel. 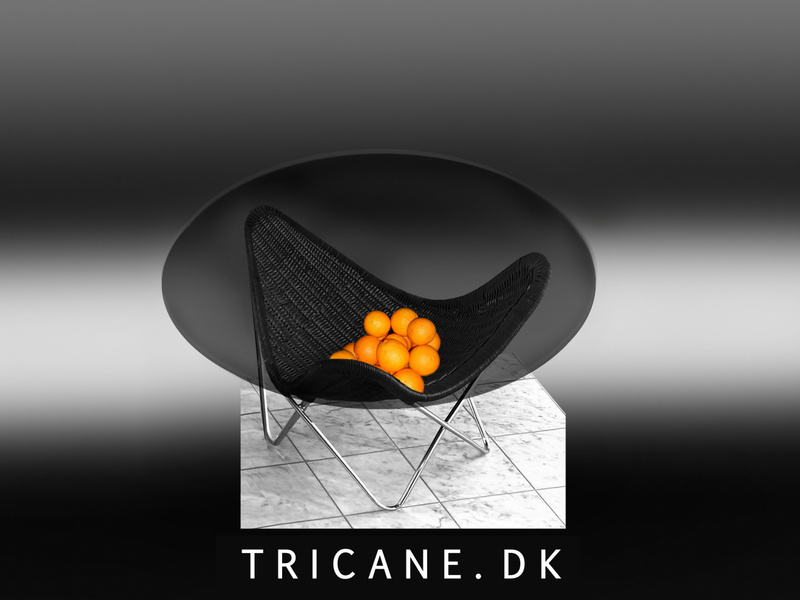 Tricane.dk is a new table with a stainless steel frame, a handwoven natural cane shelf and a tempered glass top. 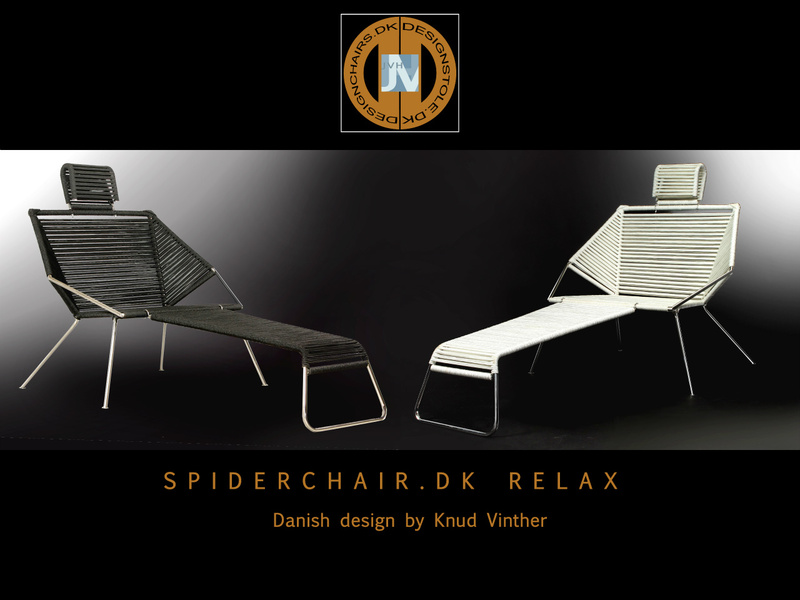 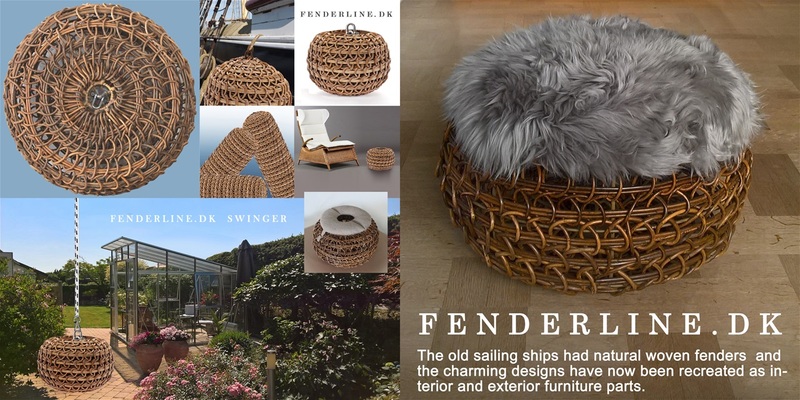 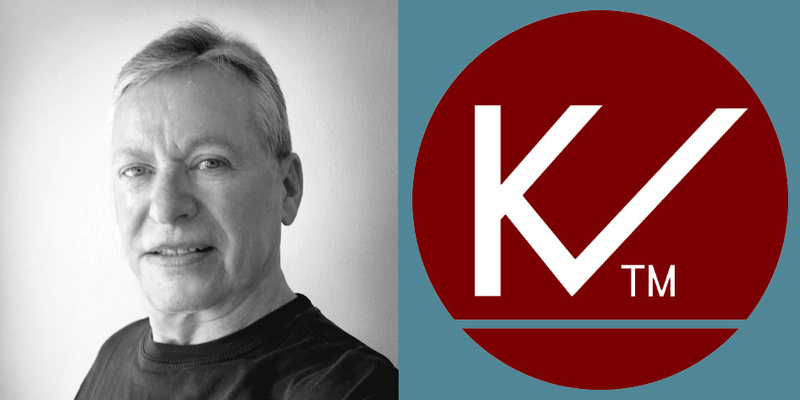 Designed by Knud Vinther and published on August 18th 2016 at 01:48. 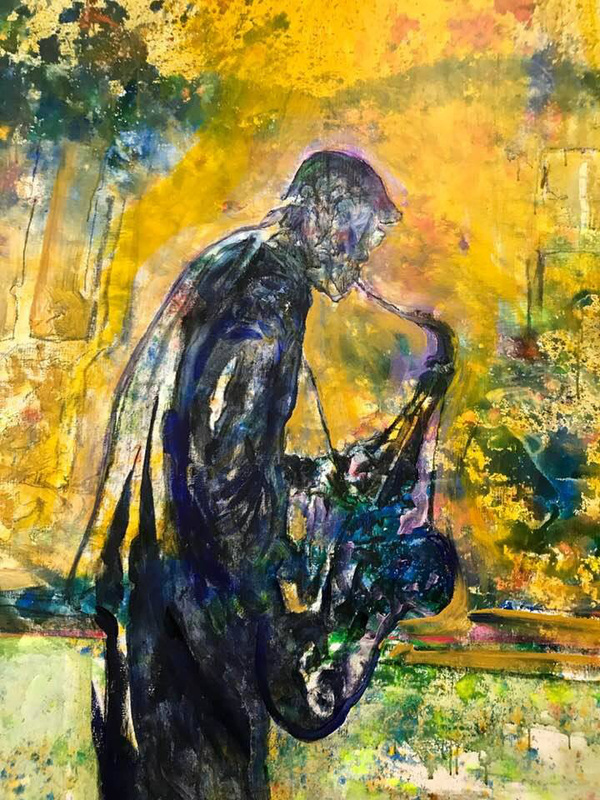 Danish artpainter Hans Oldau Krull with "The Sax Player" in our showroom. 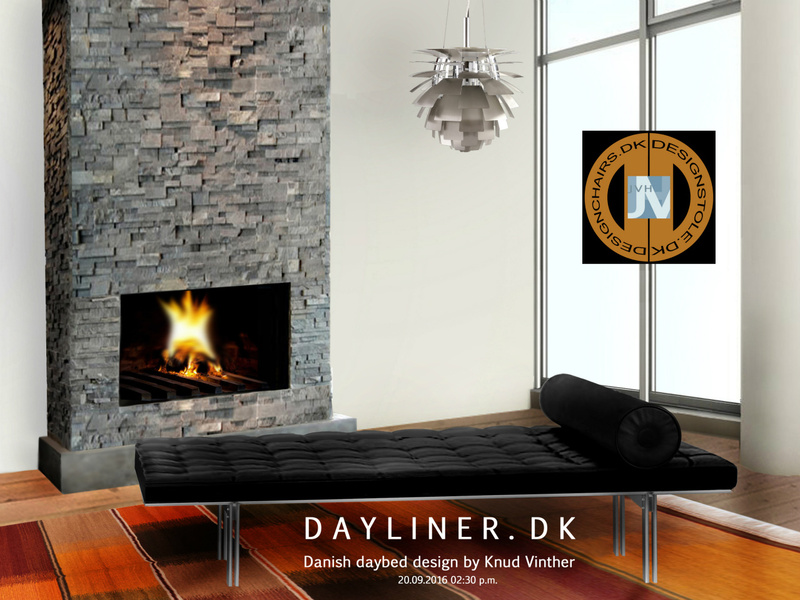 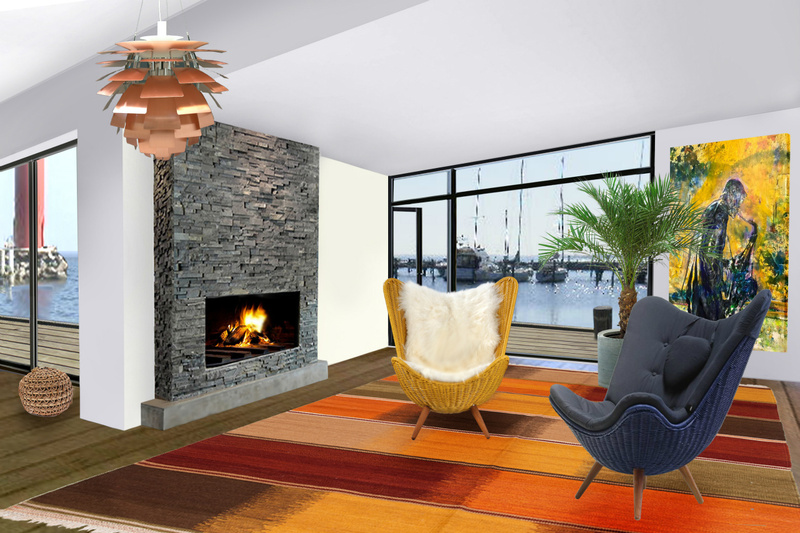 Portal der linker til 7 hjemmsider med dansk møbel design. 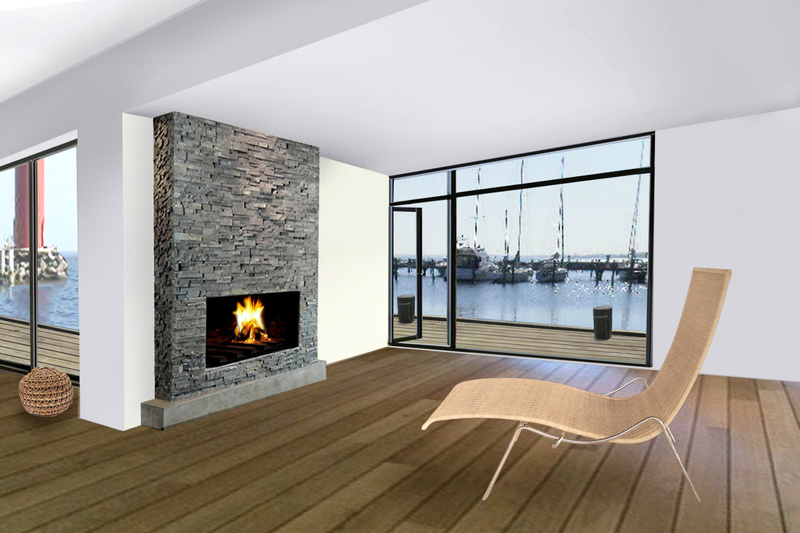 hjemmeside, hvis du er her på et ikke-sikkert http:// link. 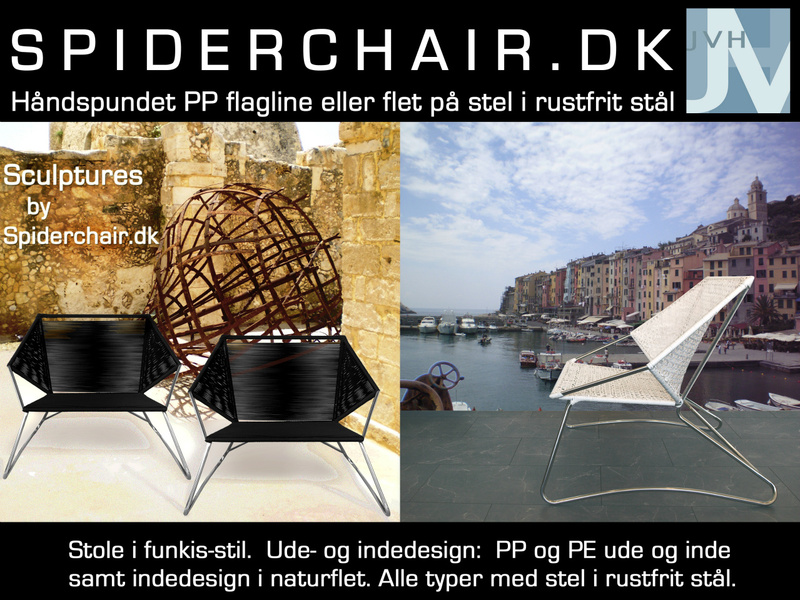 vi 30% rabat, der er fratrukket de viste priser. 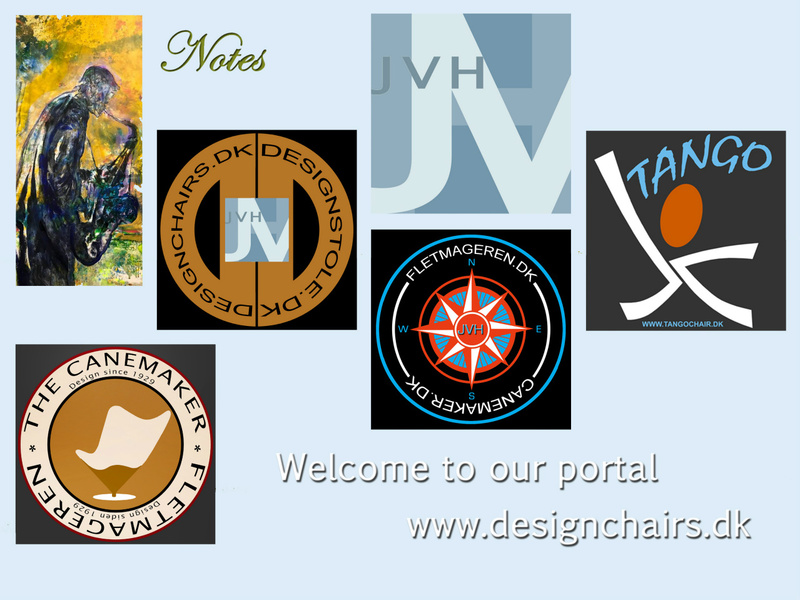 and website if you are here via a non-safe http://link. 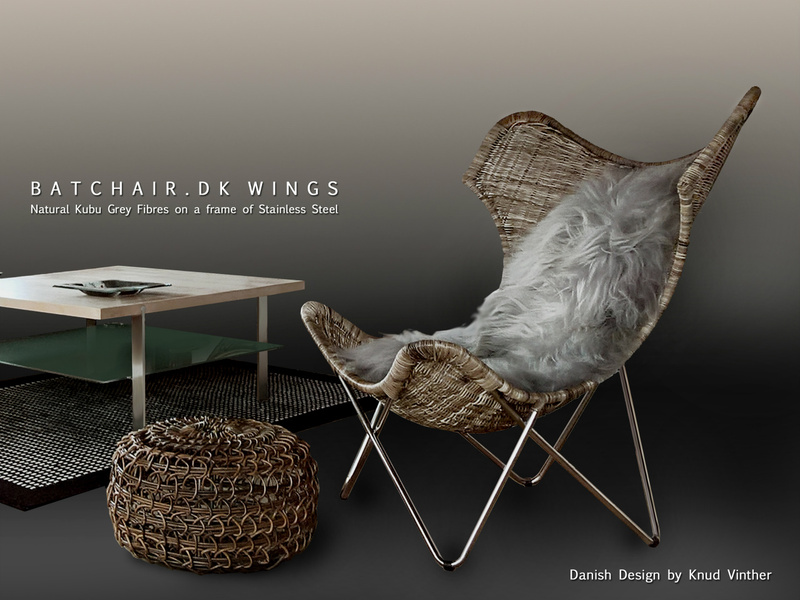 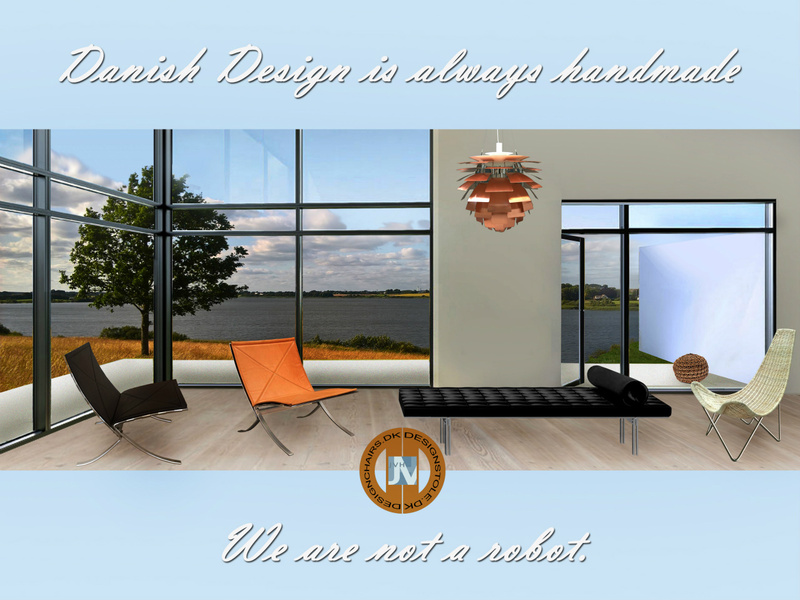 Portal with links to 7 websites about Danish Furniture Design. 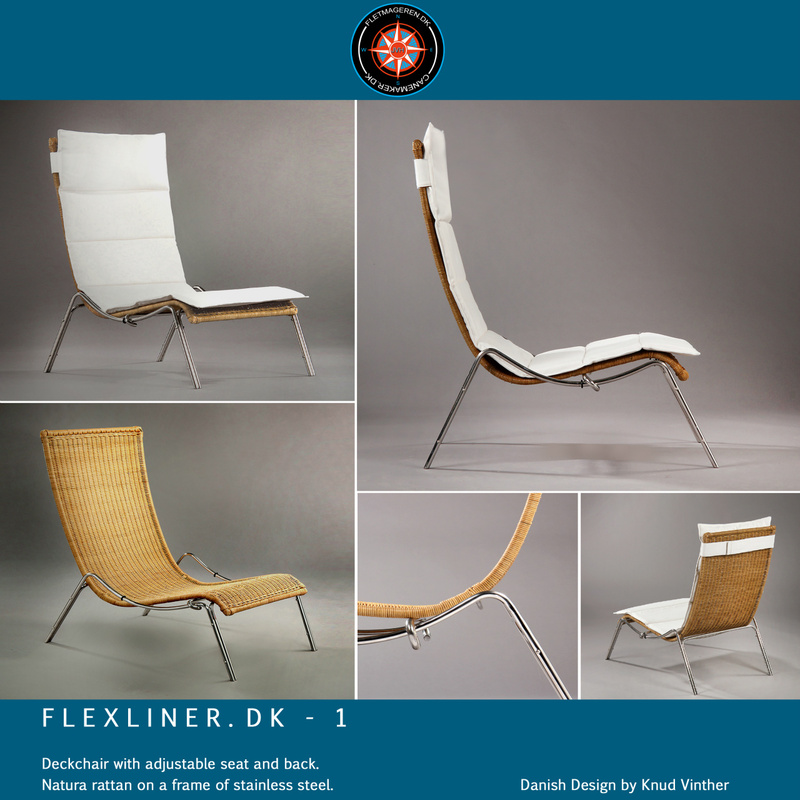 extend them to full pages. 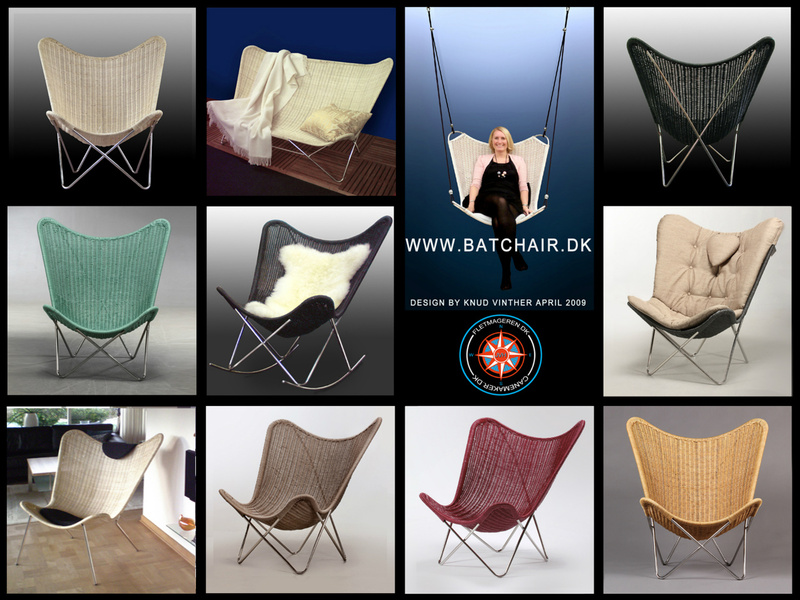 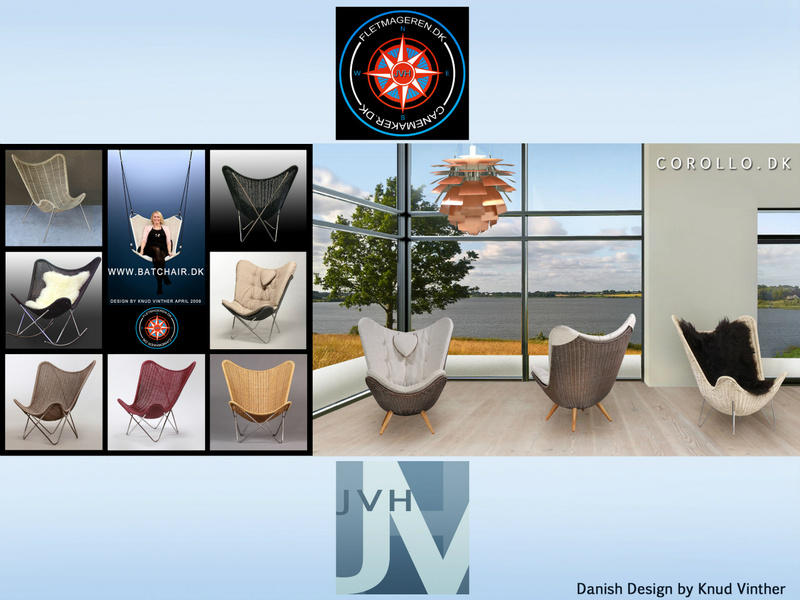 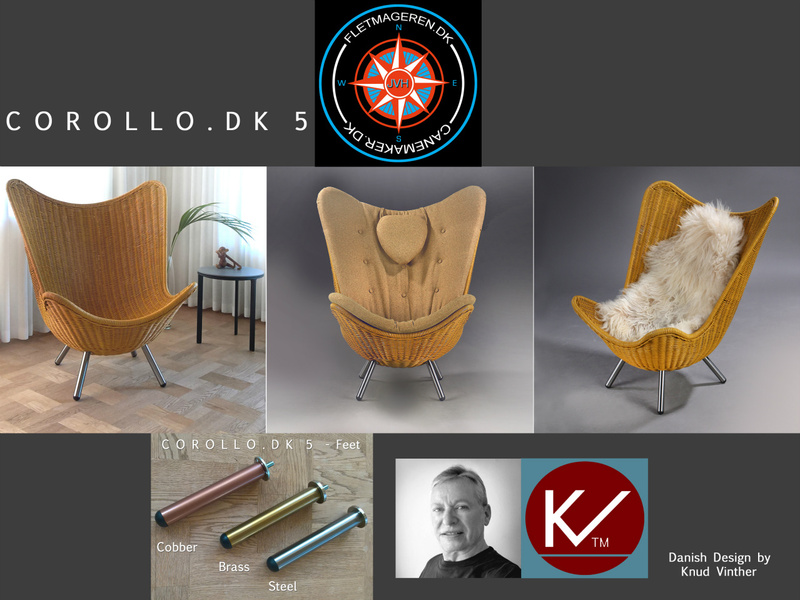 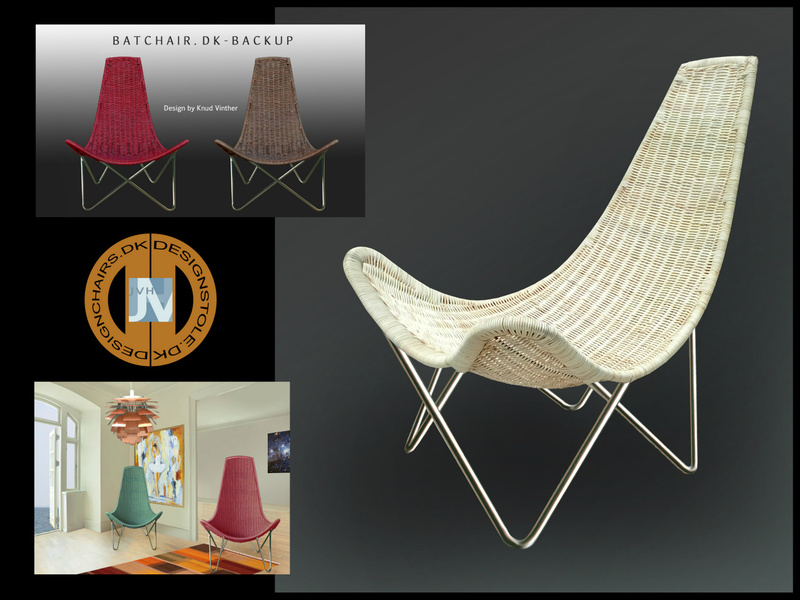 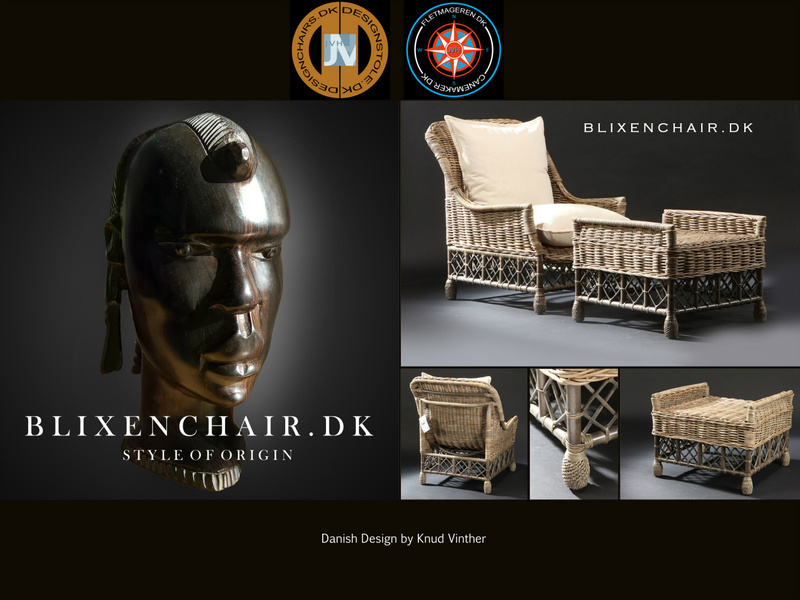 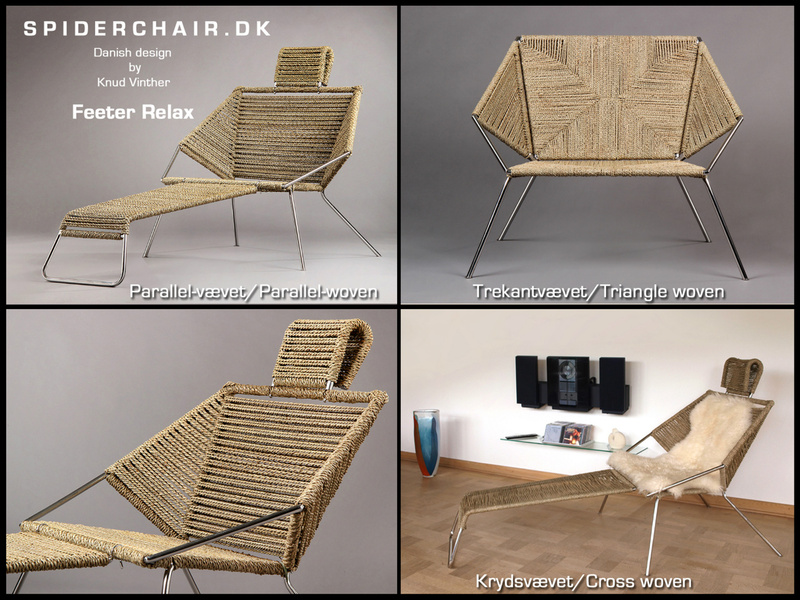 Designchairs.dk has been linked to several websites with Danish Design Chairs. 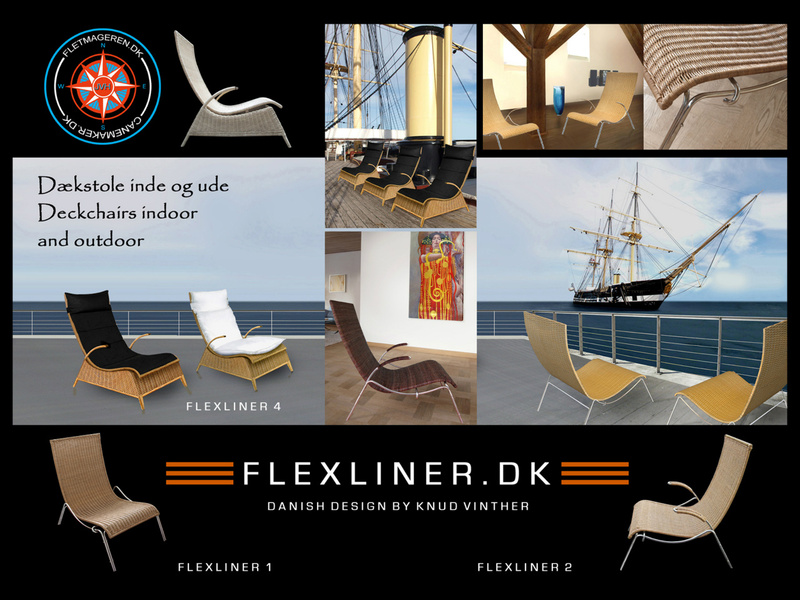 Designstole.dk er linket til flere hjemmesider med Danske Design Stole. 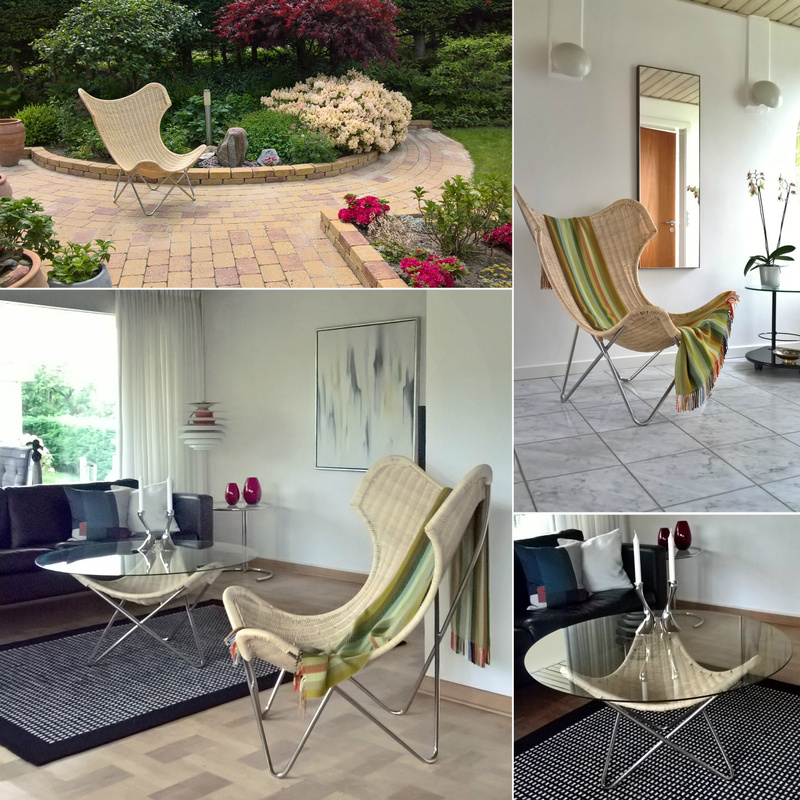 Click instead on the small photos for full page photos. 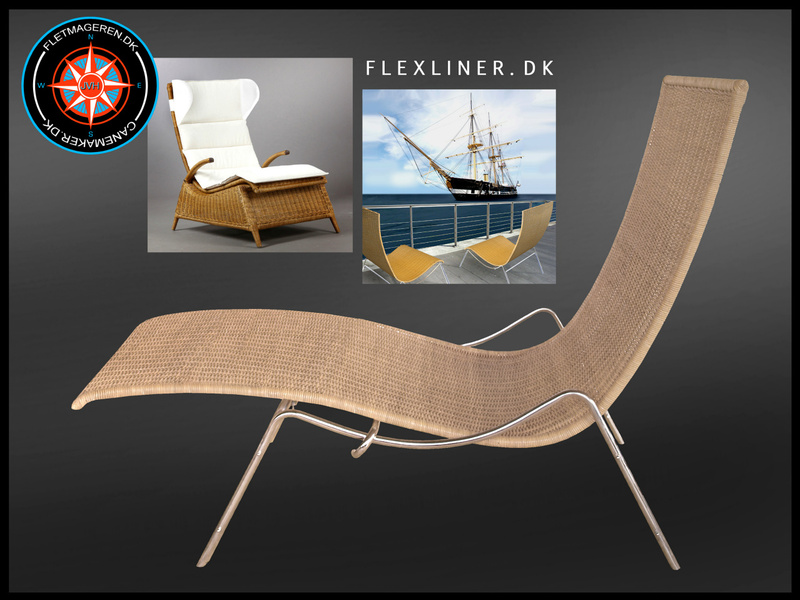 Klik i stedet på de små fotos for helsides billeder.